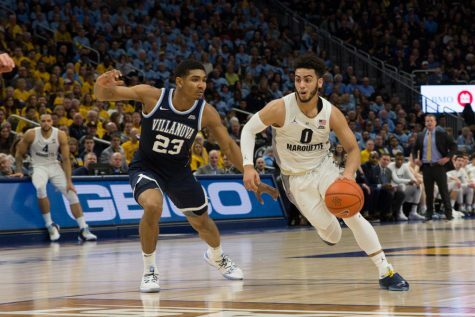 Sam Hauser had 24 points in Marquette's victory over St. John's. 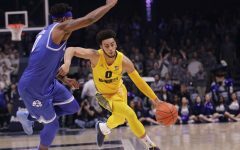 With only a couple hours before tipoff, sophomore star Markus Howard’s status for Saturday’s game against DePaul remains unknown. However, it didn’t look like Marquette missed a beat without its leading scorer in Wednesday’s game against St. John’s. Five different players scored in double figures to lead the Golden Eagles to a 85-73 victory. 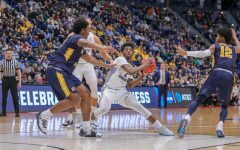 The win kept Marquette’s fledgling tournament hopes alive; BracketMatrix, an online aggregator of March Madness projections, has Marquette as the fifth team out of the tournament. 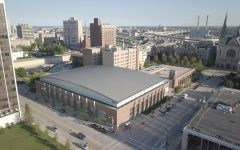 In order to remain in contention, the Golden Eagles (16-11, 7-8 BIG EAST) must defeat the DePaul Blue Demons (10-17, 3-12 BIG EAST) in the newly-built Wintrust Arena Saturday. 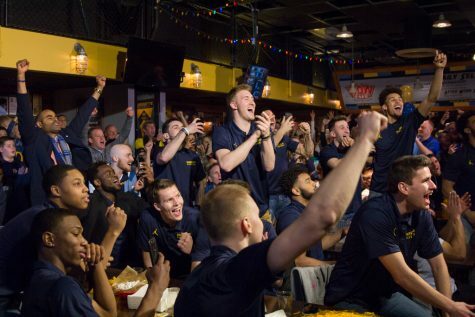 Marquette beat DePaul 70-52 when the two teams squared off in January. Tipoff is at 11 a.m. and is televised on FOX Sports Wisconsin and other FOX Sports regional sports networks. Many people think of Andrew Rowsey as a scorer. 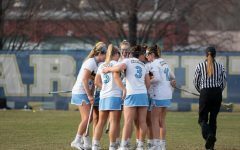 The redshirt senior is second on the team in scoring with 19.5 points per game. One might expect Rowsey to intensify his scoring efforts with Howard out, but he’s instead has focused on involving other players. 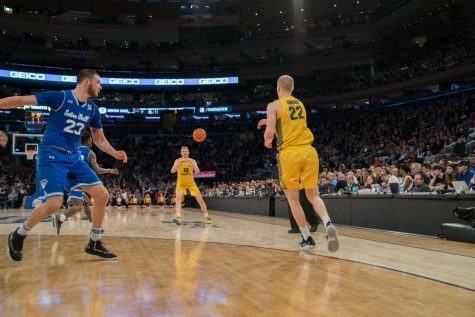 In the past three games, Rowsey has 22 assists compared to just three turnovers, much to his coaches’ approval. 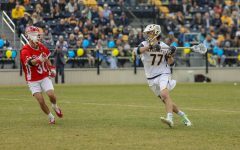 Plenty of Rowsey’s assists come by virtue of him making the simple play. 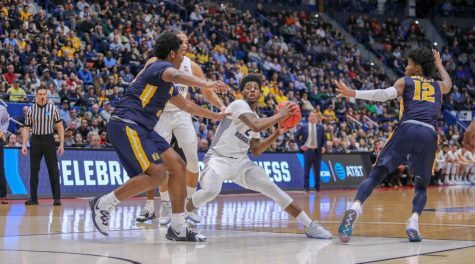 When Marquette was up by one against St. John’s with 10 seconds left in the first half, Rowsey ran the floor in transition, noticed that nobody guarded freshman guard Jamal Cain and dished to him for a buzzer-beating 3-pointer. 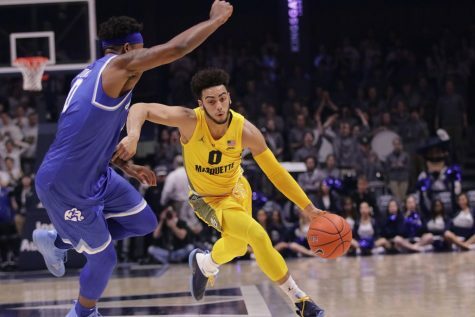 Although Marquette’s six eligible underclassmen have gotten a lot of playing time, the team as a whole is still green compared to the rest of the conference. 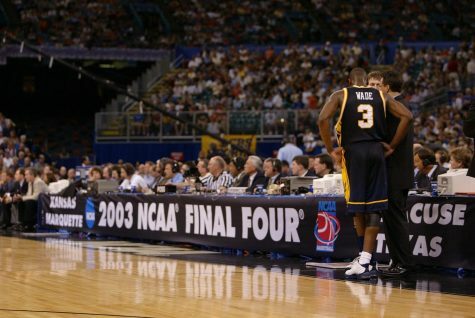 Rowsey will need to be a distributor again for the Golden Eagles to make the tournament. 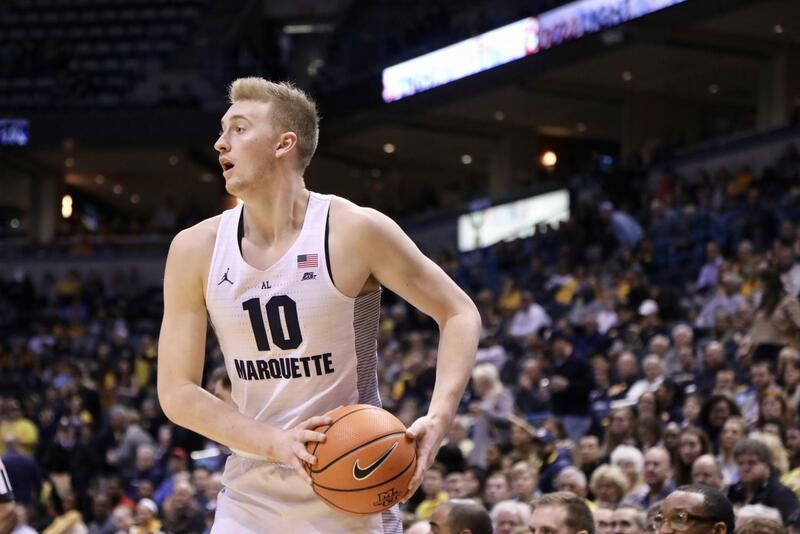 So many of Marquette’s opponents have commented on how underrated sophomore forward Sam Hauser is that it’s starting to feel like a weekly occurrence. 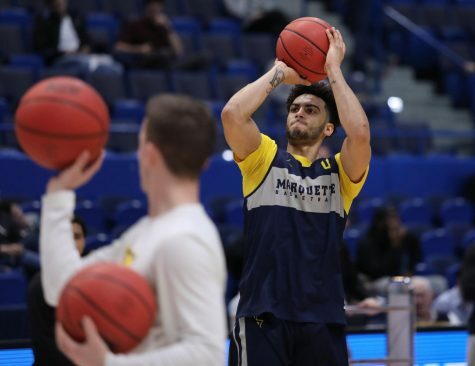 With performances like his 24-point outburst against St. John’s, it’s easy to see why DePaul head coach Dave Leitao took the time to praise him when previewing Marquette. 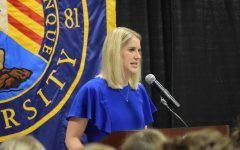 “Deadeye” is an accurate way to describe Hauser, who has the fifth-best 3-point shooting percentage in the nation at 50.3 percent. Hauser hasn’t shot below 50 percent from beyond the arc in a game since Marquette’s loss to Providence three weeks ago. And the diversity in Hauser’s skillset catches other team’s notice. 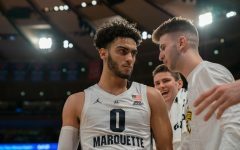 Nobody would ever call Marquette an excellent rebounding team: Its 27.6 percent offensive rebounding rate is sixth in the BIG EAST and its 26.1 percent rebounding rate allowed ranks fourth. 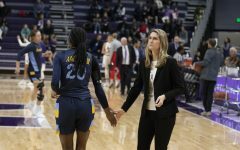 The Golden Eagles have kicked it up a notch on the boards, though, exceeding their opponents in offensive rebounding percentage in each of the last four games. 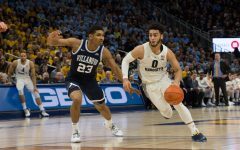 That rebounding prowess was especially evident in the victory over the Creighton Blue Jays, a game in which Marquette snared 44.8 percent of its own shots. 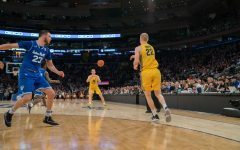 Keeping DePaul off the offensive glass will be crucial in avoiding an upset. The Blue Demons are second in the BIG EAST in offensive rebounding percentage at 32.9 percent, with only Seton Hall ranking higher.